Standard Material:Q345B,standard plate thickness, domestic material high quality tooth plate. 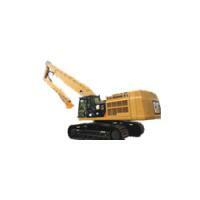 For digging normally clay, loose soil, sand and loading gravel light working environment. Enhanced Material:Q345B, plate thickening, domestic material high quality tooth plate,extend the use of time. For digging hard soil or loading rubble , gravel with softer rubble normally light working environment. C level Rock Adapter plate and side plate are made of homemade material Nm360, domestic material high quality tooth plate, so that it can resist grinding and bending. 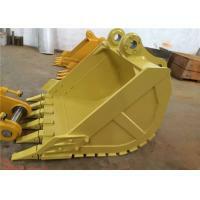 For digging hard soil with tough rubble or loading rubble and gravel normally light working environment. A/B level Rock Adapter plate and side plate are made of import material HARDOX, rock tooth plate, consolidated plate on the bottom and side plate, so that it can resist grinding and bending efficiently. For loading the tough rock and the mineral after explosion. 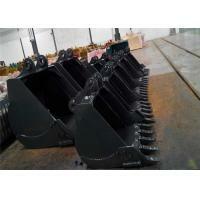 Customer should choose suitable bucket type according to working environment. 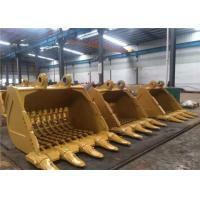 Non-rock bucket forbid digging hard stone and soil heavy working environment. 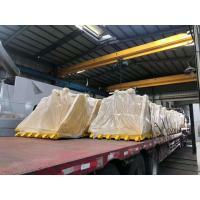 It must comply with the relevant provisions of excavator operation when it works. 2. 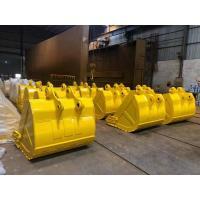 Apart from the Standard bucket, Rocky bucket and Heavy duty bucket, SF also offering special purpose bucket , such as tilting bucket, hydraulic thumb, skeleton bucket ,cleaning bucket, grab bucket, shovel bucket, loader bucket.